I cried five times during this episode. The first was when Konatsu revealed she was pregnant, and that it was Yotaro’s child. The fact that she had to spell it out to him is so them, but dear God, these two are one heck of a couple. With each passing episode we’ve seen more affection between them, until finally they’re properly in love with each other, and here they have a child on the way. As I welled up, I was near grinning. 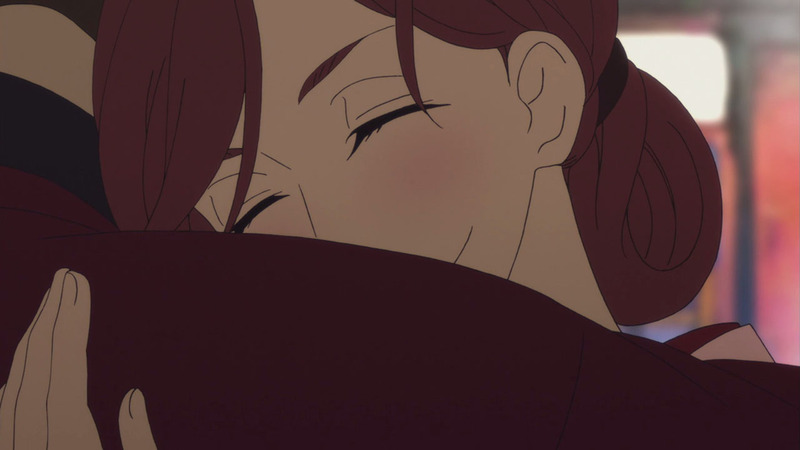 It was perhaps the happiest moment in the series–other than Konatsu performing rakugo for the first time–and for a moment, everything felt right in the world. 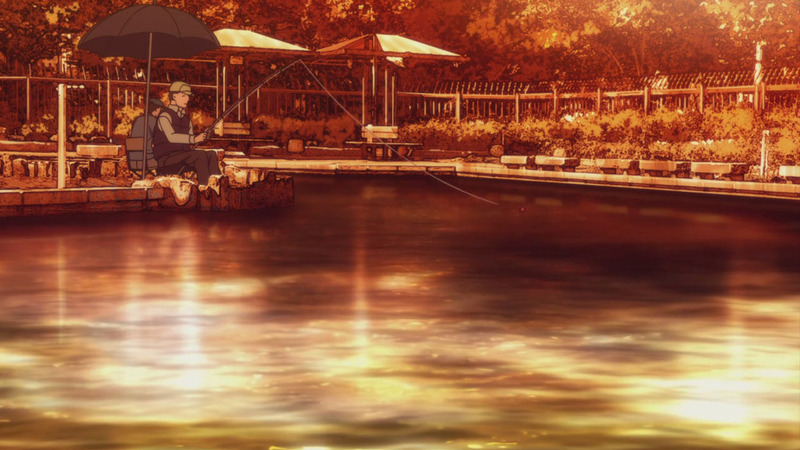 It lightened the mood, and proved that Yotaro and Konatsu are made to be. 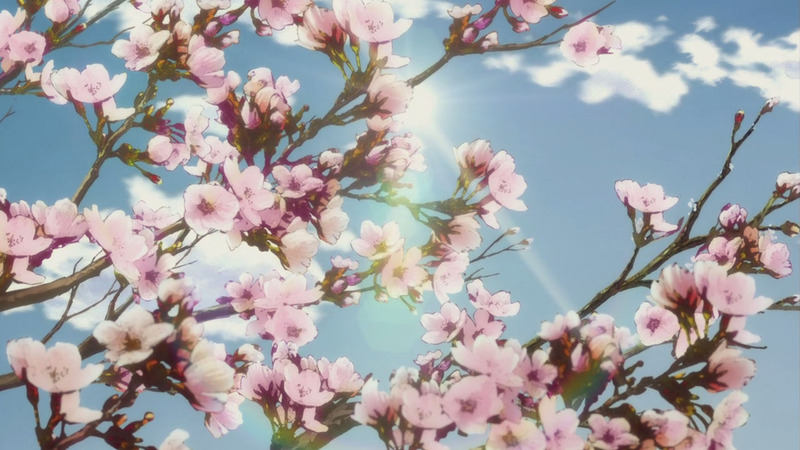 The fact that it came so naturally as the seasons came and went within mere seconds, shown by the sakura flowers which were consistent throughout the episode, is another impressive feat of this series. I’ve said it before, but nearly every other anime I’ve watched suffers when it jumps in time. Fune wo Amu is a recent example of a series that was on a roll to be brilliant, but it skipped what would have been the best and most human parts of the journey just to get to the end of the established plot. Here, things come and go, slow down and speed up, like we’re watching these characters lives unfold moment by moment; some close together, some months or years apart, and it flows so naturally. The second time I teared up was a little one, but in any other show would be a scene-stealing moment. 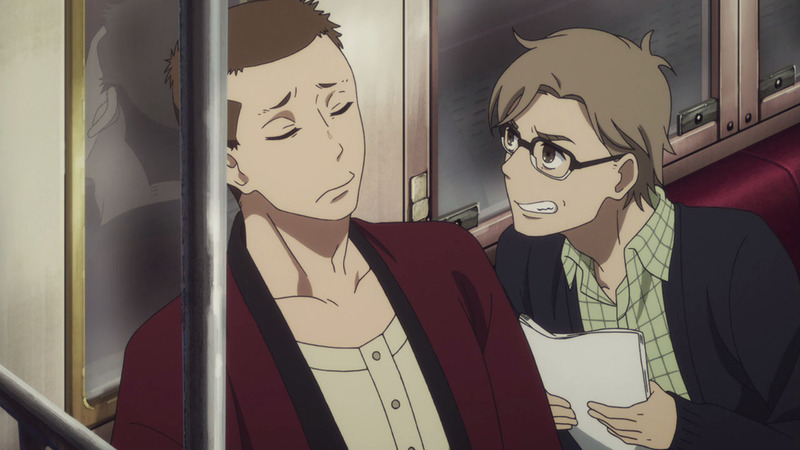 When Yotaro and Hii are on that familiar train line, and he tries to sell his new stories to Yotaro, Yotaro replies that he wants women’s rakugo. 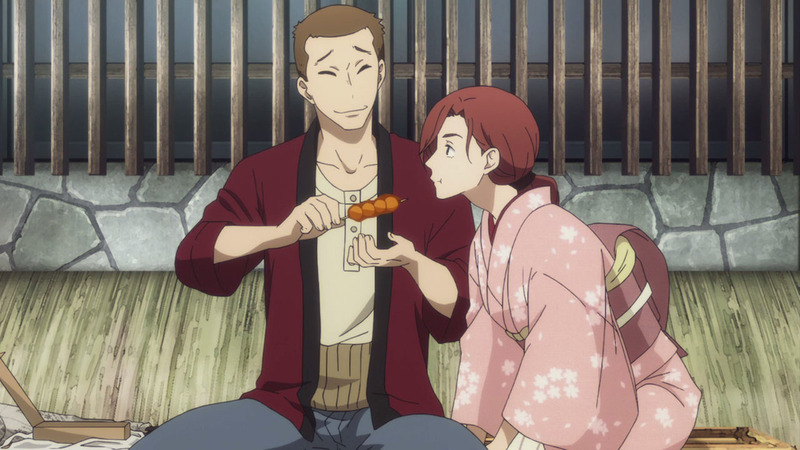 We all know Konatsu loves rakugo–I’d argue more than anyone else in the cast–but if there’s one man who wants her to do it even more than she does, that wholly believes in her talent and worth, it’s her husband, Yotaro. 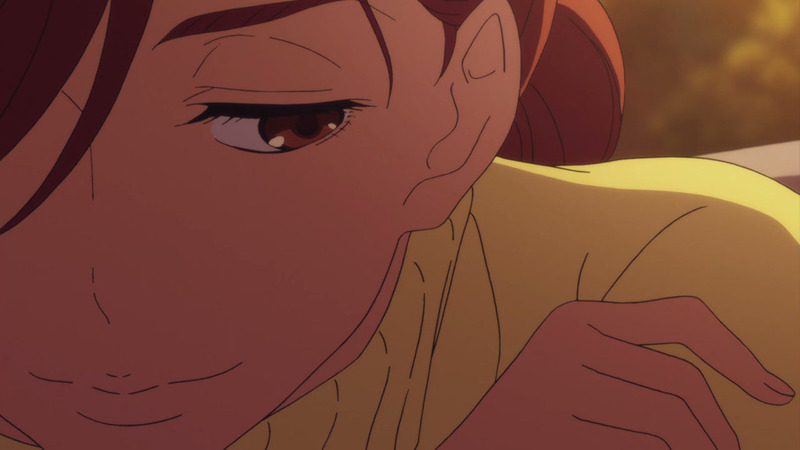 Women now regularly perform rakugo, but when this current storyline is set (which must be around the 80s, I haven’t been keeping count), that perhaps was still a progressive move. Yet for Yotaro, it seems like the most natural thing in the world. Even for someone like Hii, who is pushing for new rakugo stories to take the medium to the next stage didn’t even consider that. That, paired with Yotaro saying he doesn’t want to overtake his master because he loves following him, that he loves being at his back so he can admire his rakugo… that’s why Yotaro is so damn loveable. There’s not a bad bone in his body. 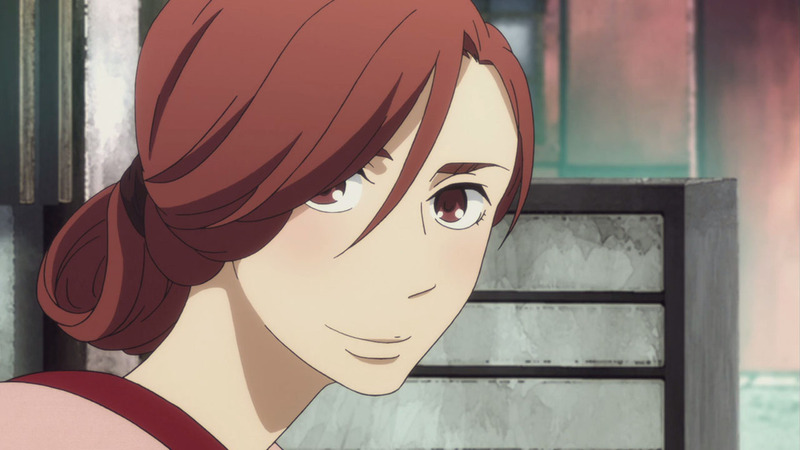 In a series where every character is complicated and makes rash decisions that change the course of their lives for the worse, he’s made mistakes in his past that have sent him to prison, but he’s a pure soul and the perfect master-to-be in the new wave of rakugo. The third time I cried, I wept. For several minutes. The entire Yakumo/Konatsu scene has to be the greatest scene in the entire show. It’s a moment that was notably uplifting and joyful, though you’d think the dramatic scenes thick with symbolism would be the best. What this interaction did, however, was take the hatred Konatsu had for Yakumo for her entire life, since the first episode, and laid it bare. It exposed the faults in her emotions, allowed them both to be honest with each other for what felt like the first time in thirty years. Konatsu delivers the usual line that Yakumo should have died that day with her parents, and it would be the last time she ever would. Funnily enough, I believed her almost every other time she did it, yet here it was clear she’d lost the will to keep fighting. She couldn’t hate this old, dying man who had become her father through tragic consequence any longer. When Konatsu started to break down, so did I. The screen was a blur and I couldn’t control myself, and it was a moment so gorgeous that I struggle to find words to effectively describe it. 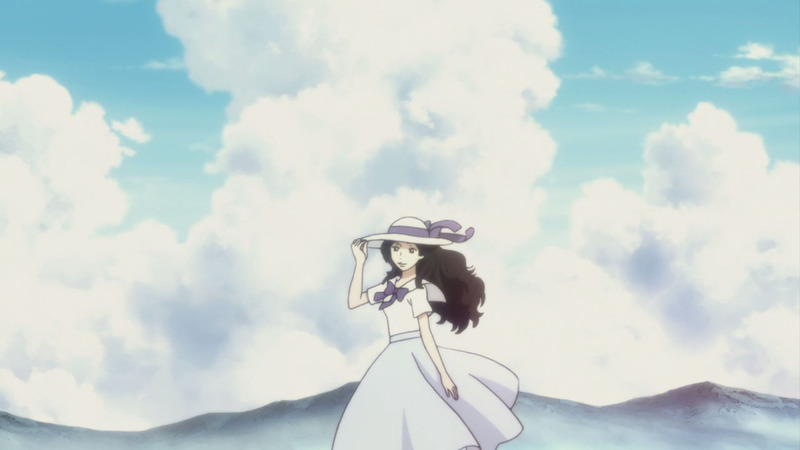 I thought my feelings of Miyokichi were finalised last week, but it seems her presence still lingers in the air. When Konatsu mentions her mother as if she were some cursed mistress, it’s Yakumo who replies with such kindness and affection when describing her. Clearly, he has immense regret for how he treated her, and as he said he witnessed a woman’s every emotion through Miyokichi. Through the highs and lows, he still doesn’t think badly of her, even though she clearly meant to take his life that night at the inn, but ended up stabbing Sukeroku and taking him with her to the grave. You’d think out of anyone, it’d be Yakumo who would hate her most of all, but I’m sure if he met her in the afterlife he’d be the first to apologise for what he did, which says so much about his character. 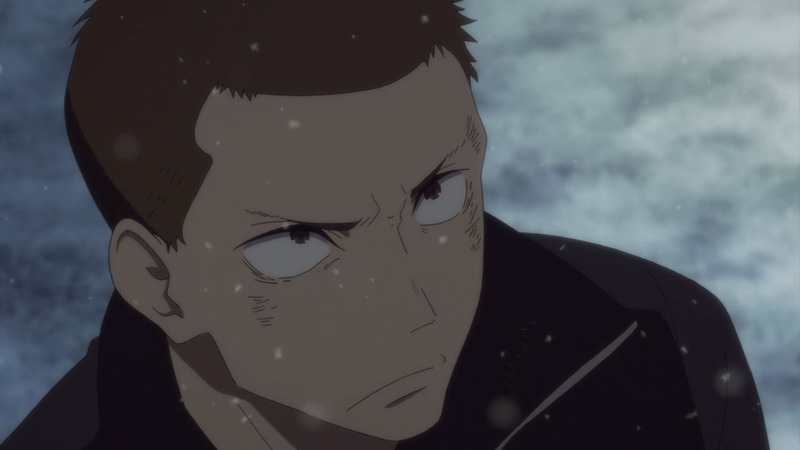 Based off what he says to Konatsu, I believe the only reason he wasn’t overcome with grief and didn’t take his life sooner was because he had a child to raise–their child; the daughter of the two people he cared most about in the world. 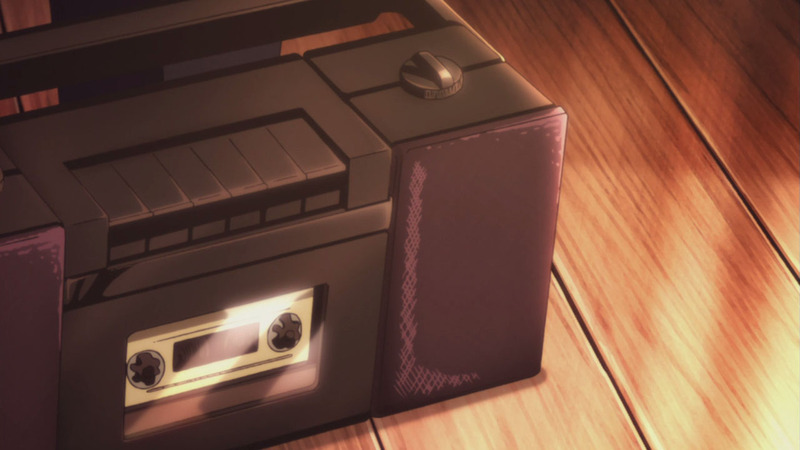 And all that comes together beautifully in this scene, as they listen to Yotaro through the radio, as they laugh together, and for the first time, there isn’t an ounce of animosity between them. 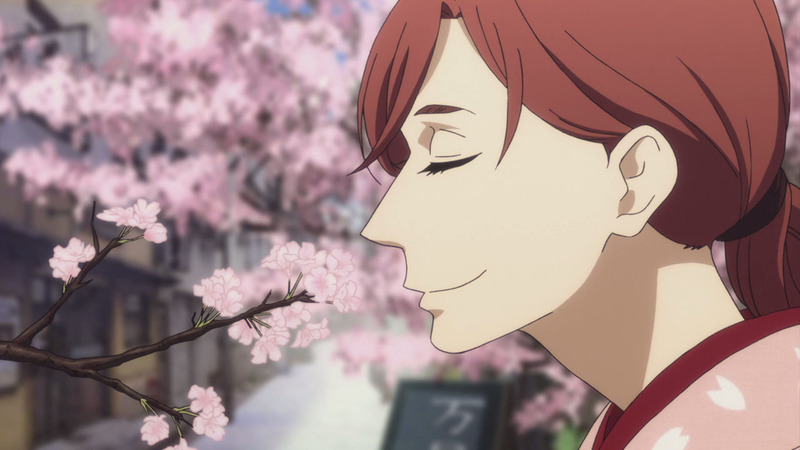 Shin appearing with the sakura petals, repeating his dad’s rakugo as he tries to cheer up his grandpa was a sweet moment. Since Shin was born, we’ve seen that Yakumo has immense affection for the boy; he’s his major weakness, and Shin knows it. 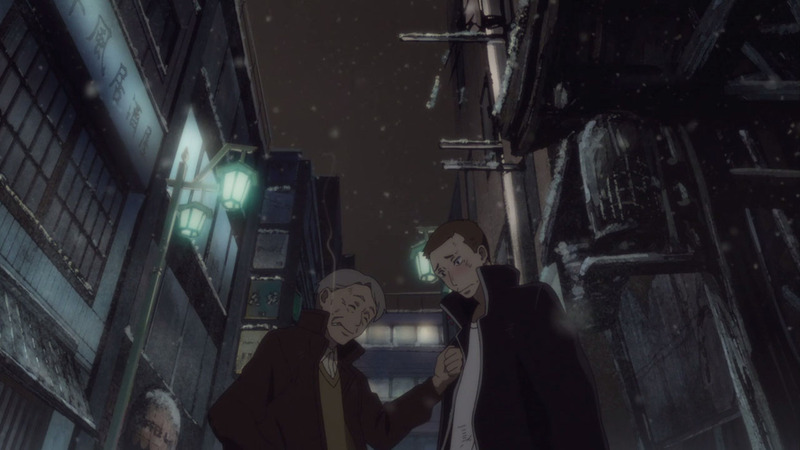 It’s a lovely family moment, that pairs with Yotaro’s rakugo which makes smart user of jumping around the city to locations relevant to his story. 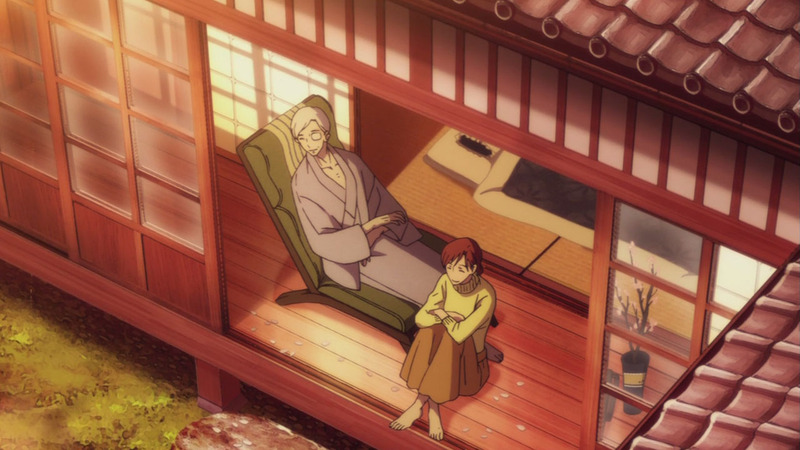 It’s a different sort of rakugo than what we’re used to, but it fit perfect with the uplifting mood of the episode, which leads into the fourth moment that brought tears to my eyes: When Konatsu asked to be Yakumo’s apprentice. But more specifically, that part that got to me was when he said he would. 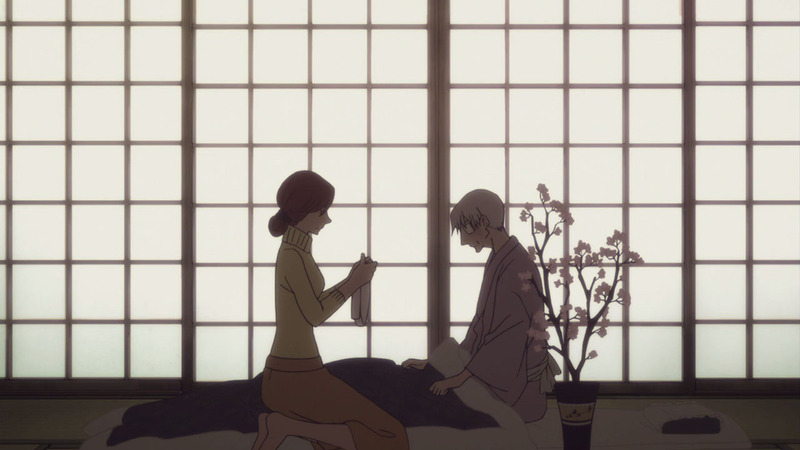 God, I’ve been waiting twenty-three episodes for this scene, for the moment when Konatsu finally announces that she wants to do rakugo, and that Yakumo accept her. Because she’s always played it down whenever the topic came up, I don’t know when Yakumo would have agreed; perhaps he was ready long ago, or maybe they needed to get through this cathartic moment first. 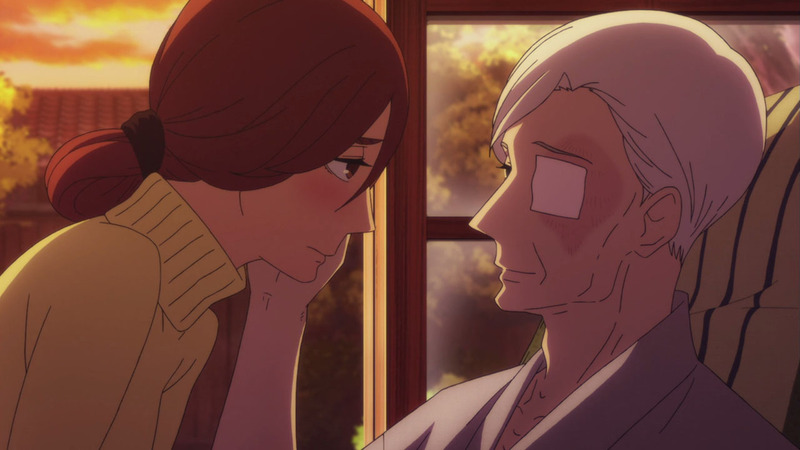 But that fact that he supports her now, this stubborn, conservative old man who is stuck in his ways and doesn’t want to look beyond the rakugo that Sukeroku gave him… it’s hard not to celebrate. This episode was one life re-affirming moment after another, as every underlying thread came together in this honest and gorgeously directed heart-to-heart. 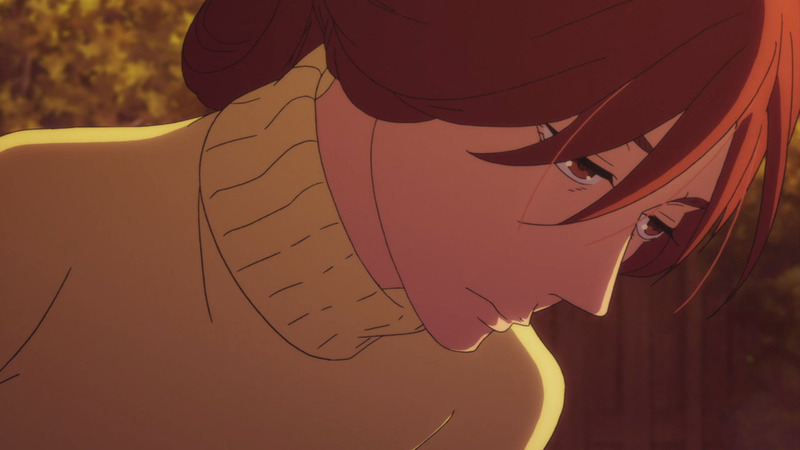 But then, it wouldn’t be Rakugo if we didn’t end on a tragic note. I’m sure we’re all accustomed to the ways the series has of twisting expectations and sending us into the pits of Hell (literally). But I have to say, it’s exactly as I expected. 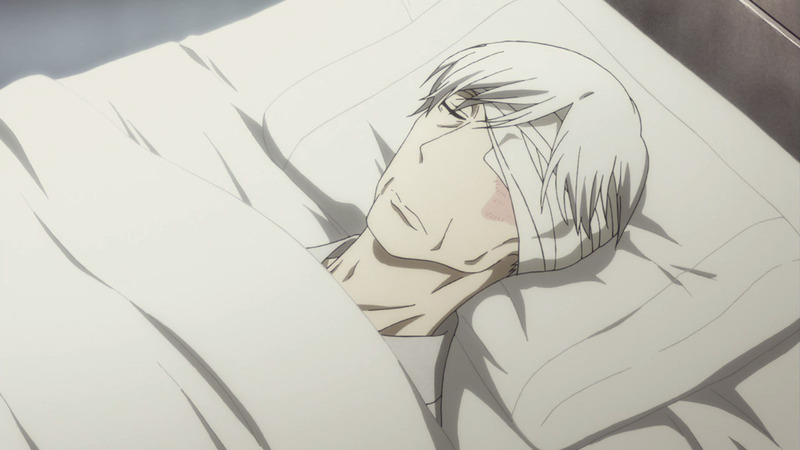 Just as I said last week, I predicted Yakumo would die before the end of the series, and that he would die in peace. Some will cling onto hope that he’ll survive once more, but he’s danced with death and escaped its grasp so many times now that it’s clear that his time has finally come. 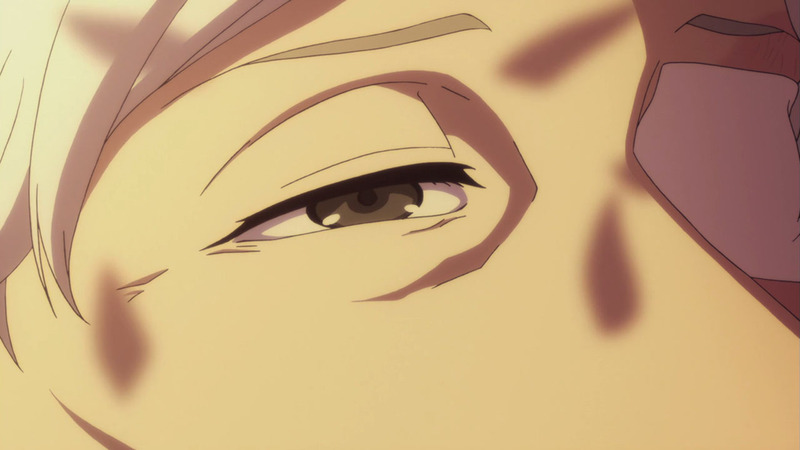 Sukeroku’s red eyes in the OP were the typical indication of Yakumo’s looming death playing a part in the upcoming episode, but it seems that wasn’t the case. In the end, it was the candle that always went out, suddenly lit up again. Just as Yakumo was satisfied with living on, no longer afraid of dying and facing his regrets, he reached his end. 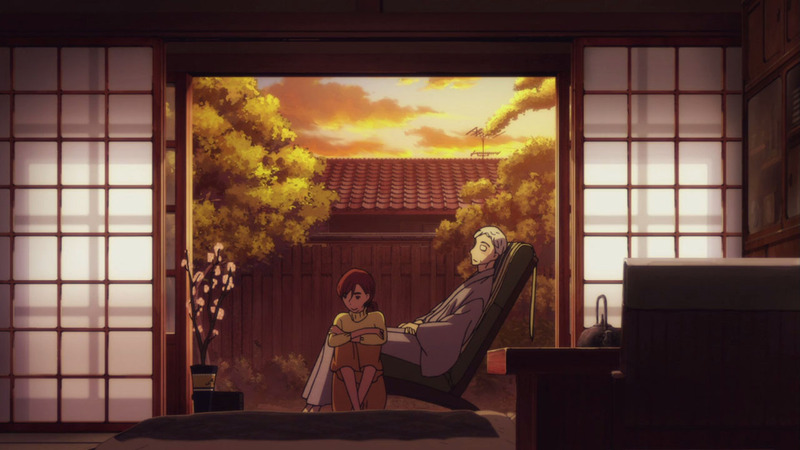 He died smiling on that porch with Konatsu and Shin, free of his burdens, free from rakugo. And that was the fifth time I cried. I could write a thousand more words on the brilliance of Yakumo’s character, but I expect next week will be a celebration of his life, so I’ll save it for then. All I’ll say is that while tragic, this is the best way for things to end. 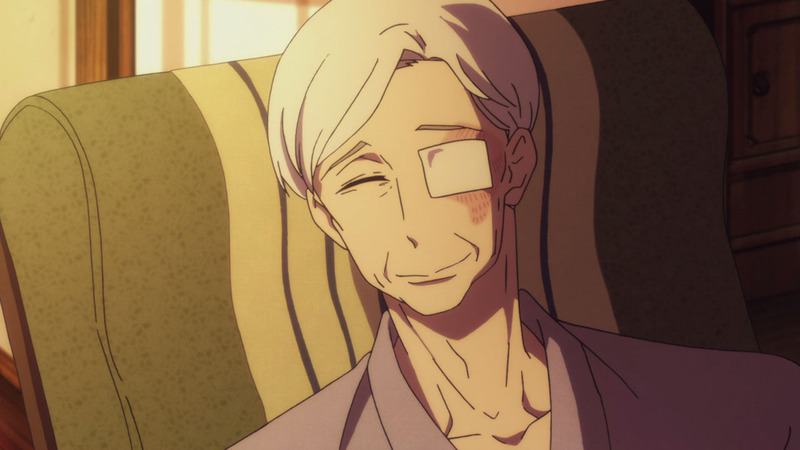 Yakumo was never going to make it through to the end of the series, but now his passing is sure to signal the shift in the rakugo world. His presence has been felt in every moment, as he tried so hard to bring this art form that his greatest friend gave to him to the grave, but now that he’s gone and left it behind, it’s up to Yotaro and Konatsu to make their mark on the medium. 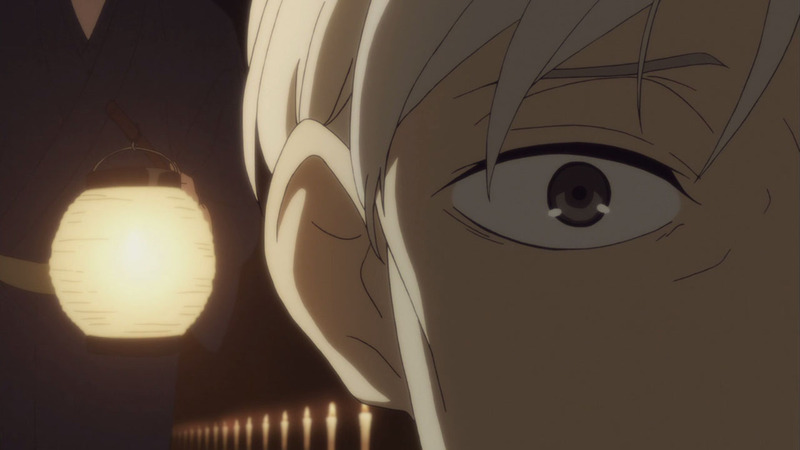 What’s most painful for me, I think, is the fact that just as Yakumo agreed to take Konatsu as his apprentice, he was robbed of that opportunity. That, as well as him never being able to see Yotaro and Konatsu’s child. It’s when that realisation hits that I feel like I’ve been cast to the waves and am battered to the bones with grief. I didn’t think it possible, but this was the best episode of the series. Perfect doesn’t even begin to cover it. I’m pretty sure it’s the late 70s, but early 80s isn’t improbable. This was truly a great episode as you so finely detail for us. The thing is, this really shows why it is a shame more shows don’t have a second season/only run 11-13 episodes, we really grow close to the characters over that time and it makes the story and the moments grow in importance over time. I wonder if they’ll name their kid after him. By Konatsu and Shinosuke’s age, must be late 80s,or even early 90s. Should be 1990s. Remember the discussion about rebuilding the theatre in episode 6? The manager mentioned an earthquake “out west” – that would have been the Great Hanshin Earthquake in Kobe in January 1995. The first episode was in the 1970s (can’t recall if it was a specific year). I believe 10 years passed since the second season started, and Shin is now at least 5 years old so we could be anywhere between 1985 and 1995. That may be a specific reference point, but to me it makes more sense that it still be the late 80s, otherwise that means both Yotaro and Konatsu are in their 40′s at this point… which may be possible but I never even considered that. Funnily enough, I’ve always judged the series timeline by Yotaro’s age. In my head Yotaro and Konatsu are still quite young, but in reality they can’t be any younger than 35 at this point. If you’re right that episode 6 was set in 1995, then we’re in Spring 1996 right now, which would put Yakumo in his 80s, and Yotaro and Konatsu in their 40s. I wish we had more reference points to go off, someone should make a proper timeline of events! I don’t believe that its the Hanshin Earthquake, it’s too much recent. My bet is the Otaki in 84. You know, that’s much more likely. Which would put us in Spring 1985. It’s hard to be exact, but Yakumo is likely between 65-75, and Yotaro and Konatsu around in their mid to late 30s, which seems more likely. 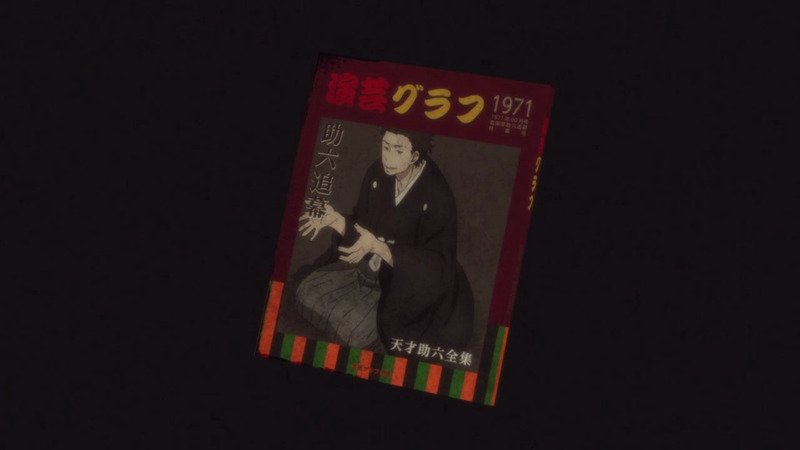 The Sukeroku book Matsuda showed Yota in S01E01 had “1971″ on the cover. I imagine the director intended that to set the date. 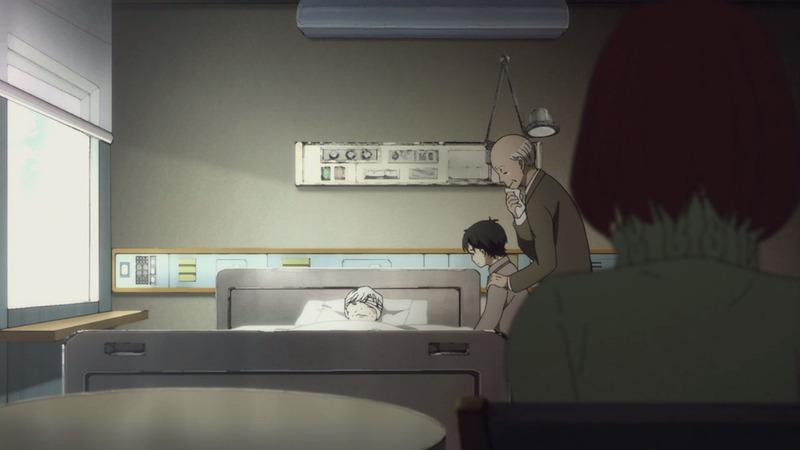 The ten years mentioned in Yota’s S02E01 monologue would put us around 1981: There we see Shin as a baby some months old. 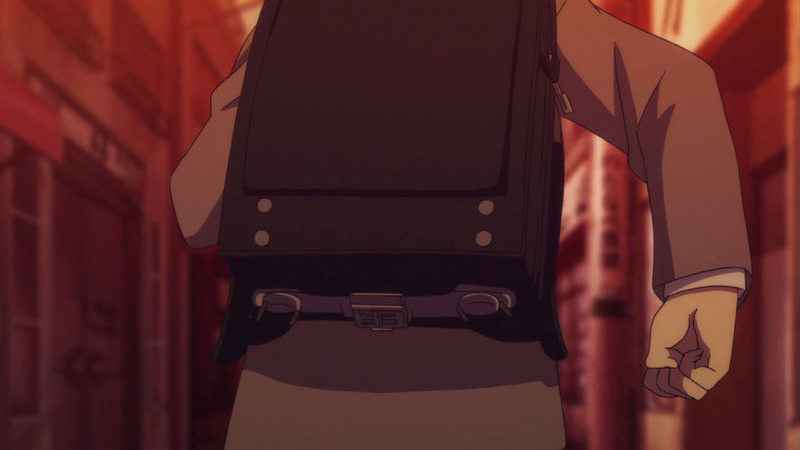 Shin’s new elementary school backpack in S02E09 would mean he’s six to enter first grade. So I think we’re looking at 1986 or ’87. Ah, good catch! Think we’ve found our answer then (wasn’t that a fun exercise?). Kiku was around 20 (and Miyokichi 25) in 1945/46, after the end of the war. He and Sukeroku spent another 10 years as Futatsume before becoming Shin’uchi (as per tradition etc in the Rakugo world), bringing us to 1955/56. This 10 year gap is supported by the date of the law that saw Miyo lose her job: the Anti-Prostitution law was passed in 1956 and came into force in April 1958. So Konatsu would have been born towards the end of that decade. When we meet Konatsu in episode 1, she looks to be in her early 20s. That puts us in the late 1970s (even if the book was published in 1971, it doesn’t mean that it was THAT year when we saw it in the show). Yota then spends 10 years as a Futatsume before becoming a Shin’uchi, bringing us to the late 1980s, which is when Konatsu has Shin. And as of now, Shin has just entered primary/elementary school, so he’s 6/7. The other thing that made me think 1990s is actually the calendar on the wall in episode 4. The only month that matches is December in the Heisei era (after 1989) – December 1997, to be precise. That said, I can’t be certain that they were accurate here, because Shin seems to have been in summer uniform in that scene, so my reasoning is mostly the timeline given above. I guess I could be off. I thought Yakumo was born sometime in the 1910s but it is probably closer to the 1920s. I think Panino is more right and this is the early 80s. We don’t know when Yakumo was born, but he was roughly in her early 20s when World War 2 was underway, so he probably born between 1915 -1925. The clearest reference point we has is that it’s the Showa Era in the first episode (most synopsises just state that its in the 70s), and since 15 years have definitely passed since that premiere, the earliest it could be right now is 1985 (which matches with the Otaki 1984 earthquake). I think that’s the best guess. 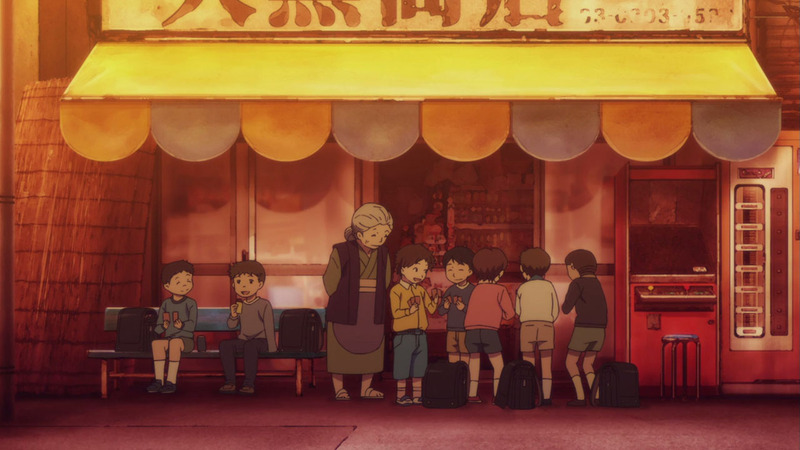 Going by S1E03, it seems that Kiku/Yakumo was 18 — or 17, if they were counting age as Japanese people do — in 1942/43, which is when the 7th generation Yakumo and Sukeroku went across to Manchuria. I just finished the episode. I can’t stop crying. This episode was absolutely perfect and made me the happiest person alive right now. 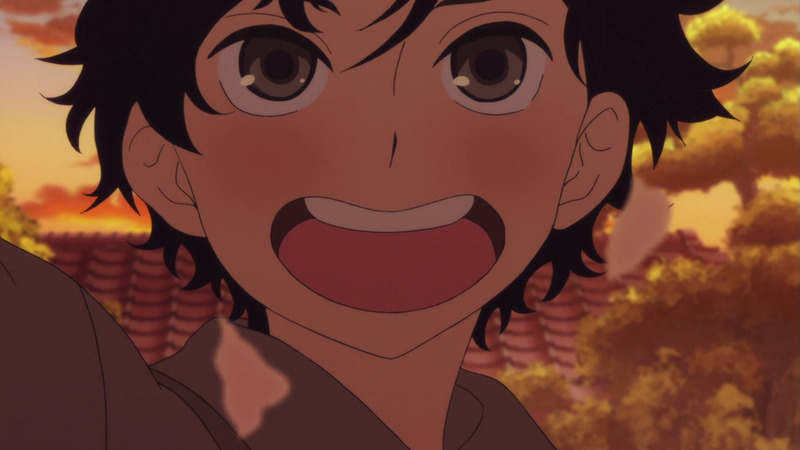 Even though Yakumo has passed away, I am so happy he died with a smile on his face. 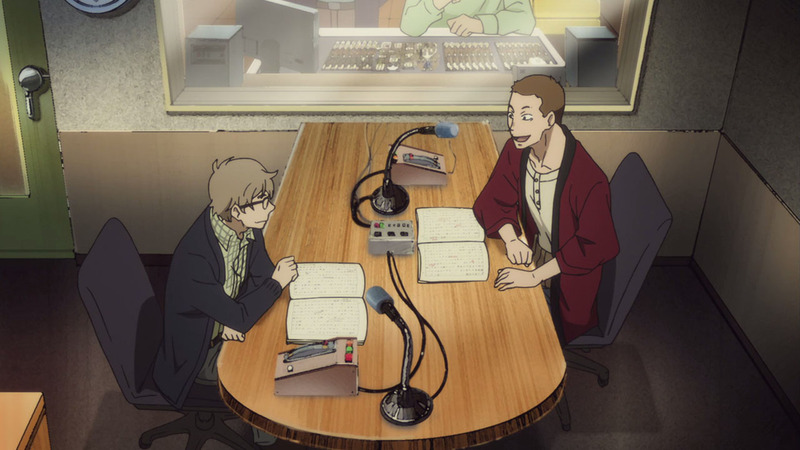 But at least Konatsu has his blessing to do rakugo. I think this series just made it as my favorite series to date. “You’re Gonna Carry That Weight”. Aren’t we lucky? Having the opportunity to watch this while it’s airing? The animation isn’t top notch but the art direction and composition is masterful, and very consistent with the themes and characters since first season. Everything that shows makes sense. 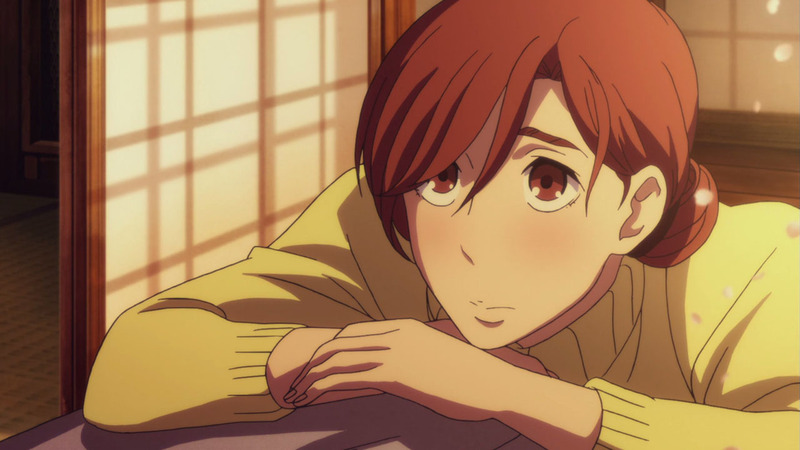 What surprises Rakugo still have in store? 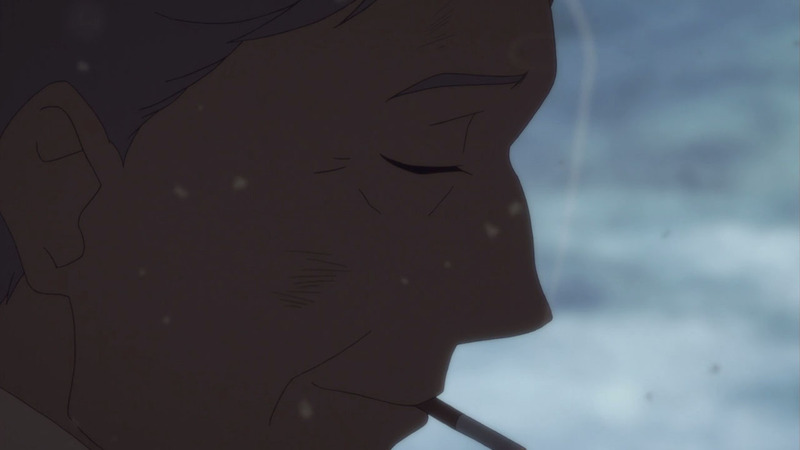 By the preview I feel that we gonna see Rakugo in the afterlife, we gonna see he and his story being transformed/transmigrate into rakugo itself. Konatsu has been Yakumo’s apprentice since she was a child. She’s already learned what she needs from him. All she needed was for him to acknowledge her, and how he’s done that. And it looks like Konatsu won’t find out what really happened the night her parents died after all. Usually, when the characters say “So-and-so must NEVER find out!” it’s a big flag that so-and-so will definitely find out. But the writer fooled me, and even made it work! Because of this comment I just realized why Yakumo won’t take an apprentice before… he already had one! 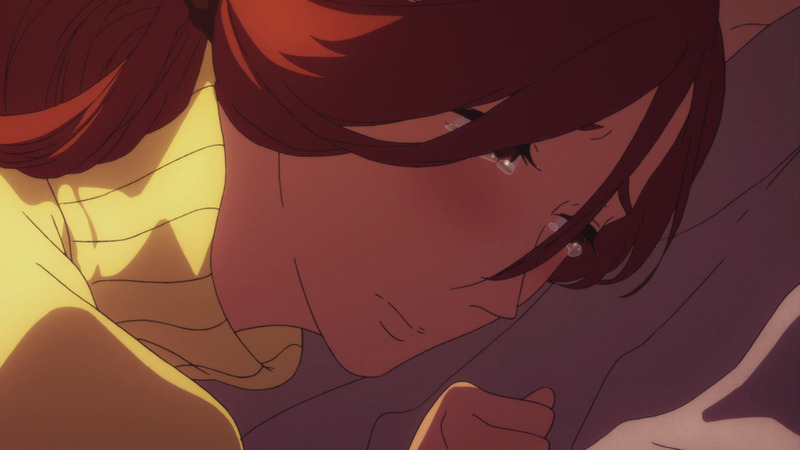 But I agree Konatsu doesn’t need the official apprenticing anymore, Yakumo axknowledging her is more than enough for her to propel her Rakugo career. I suppose that’s true. Konatsu is likely good enough to already start from a good place, but him supporting her in her wishes is what she needed most of all. And yep, it seems she was never told by him. I too thought there’d be big dramatic reveal, but he took that secret to the grave with him, which makes for a more interesting final outcome I suppose. A little detail I liked to notice is that despite all Kiku is still the first to know things like Konatsu’s pregnancy. There are so many details to their relationship over the series that I loved. Overall it was a complicated mess, but the conflicts they felt just from looking at one another from the premiere resonated with me. That’s why this moment was so cathartic and powerful. Even though I’ve watched anime for three decades, I wouldn’t need all the fingers on one hand to count the individual episodes that were better than this one. 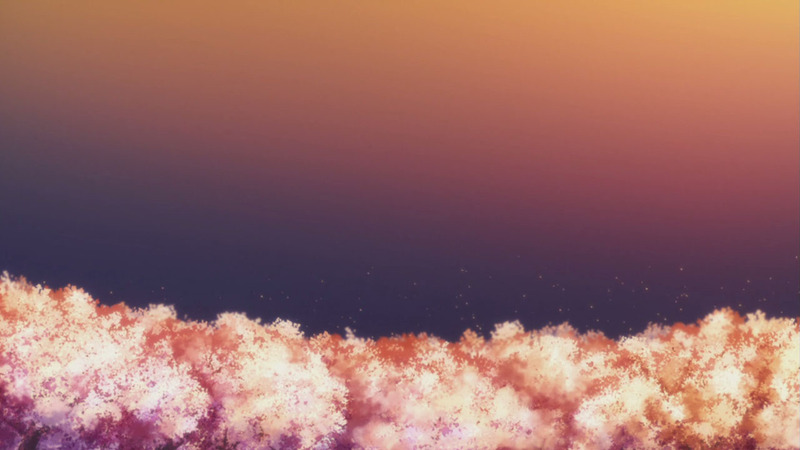 The catharsis seemed to be pouring out of the screen and my speakers as the life and character of Kikuhiko ended, fittingly, surrounded by cherry blossoms. This is the very best anime has to offer. I couldn’t agree more with this review Samu. After finishing the episode, I felt the bittersweet atmosphere. 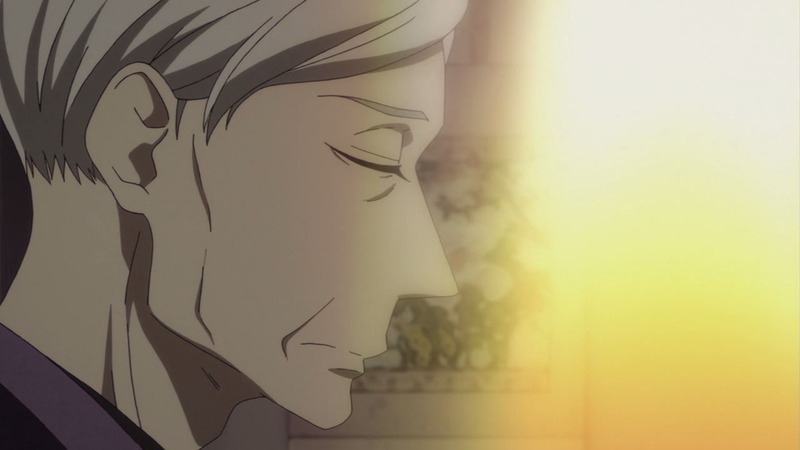 Yakumo may have passed away, but the fact that he was able to let go of his emotional baggage was so fulfilling. Even though he will not be able to apprentice Konatsu properly, the very act of acknowledging her to be his apprentice is more than she needs. 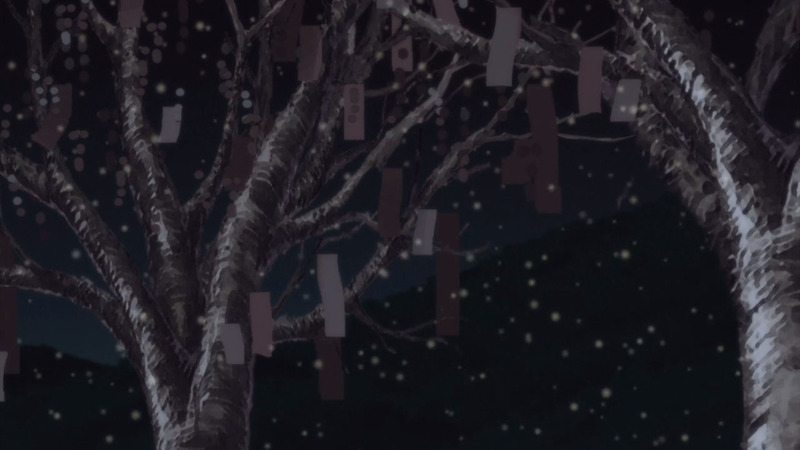 I have always loved Kiku/Miyokichi interactions from season 1 because of the electricity that I feel in their relationship, and when Kiku revealed how he Miyokichi is dearly engraved in his memory despite the bitter end of their relationship was so touching. 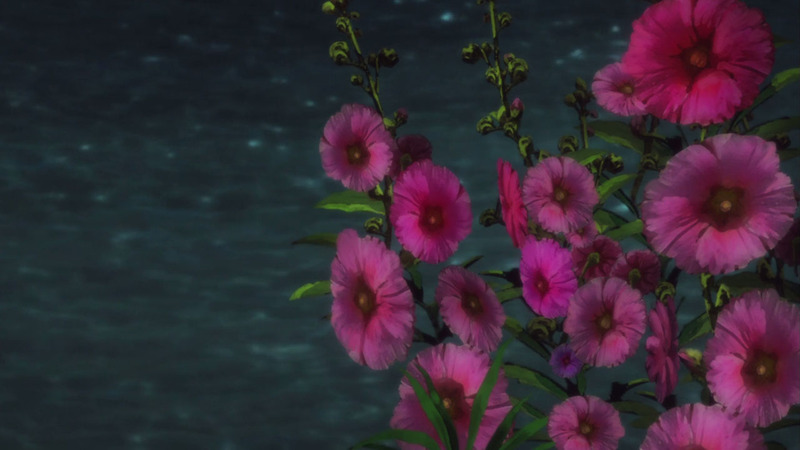 Kiku might not have been vocal but I can say this is an evidence that he loved her so much. And I am happy that Konatsu managed to look past her hatred and be reconciled with Yakumo. I have watched that scene ober and over. 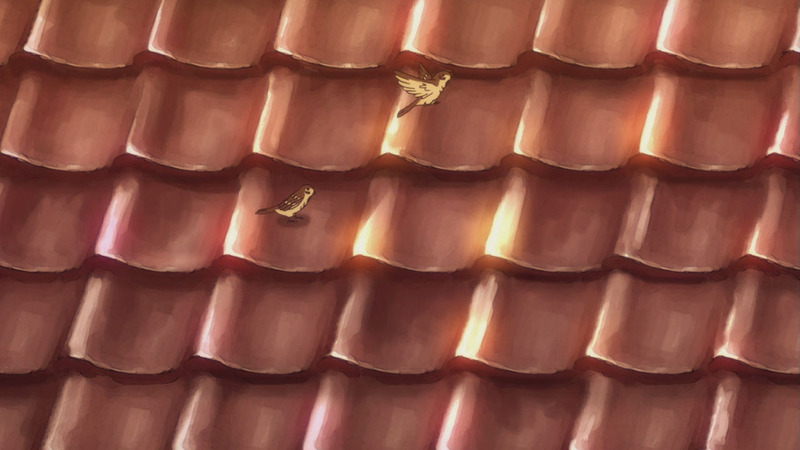 The touching scene matched with gorgeous animation really made me cry like a baby. 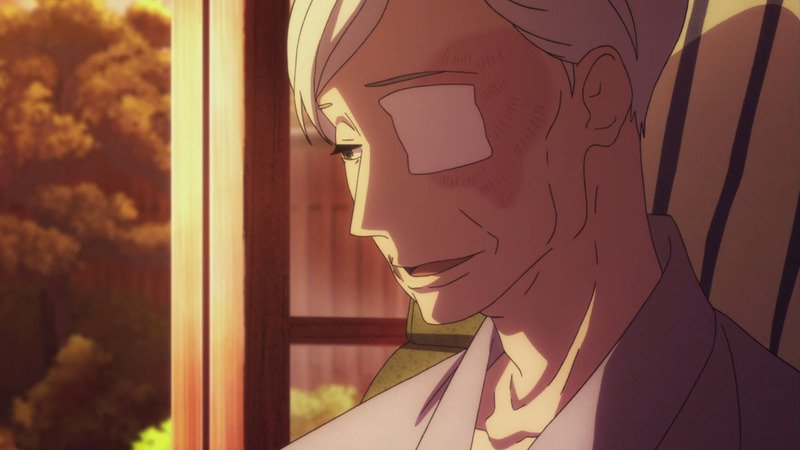 No question, Rakugo is one of the best thia medium can offer. This is AOTS, hands down. Thank you! As you said, it’s a touching scene, so much so that it was impossible to sum it up in a few words. AOTS? Anime of the Decade, more like. I’m not even gonna pretend otherwise at this point! So, yes, after he resolves his 3 life conflicts, he slipped out of life as easily and effortlessly as he slipped out of his kimono when he began a story. 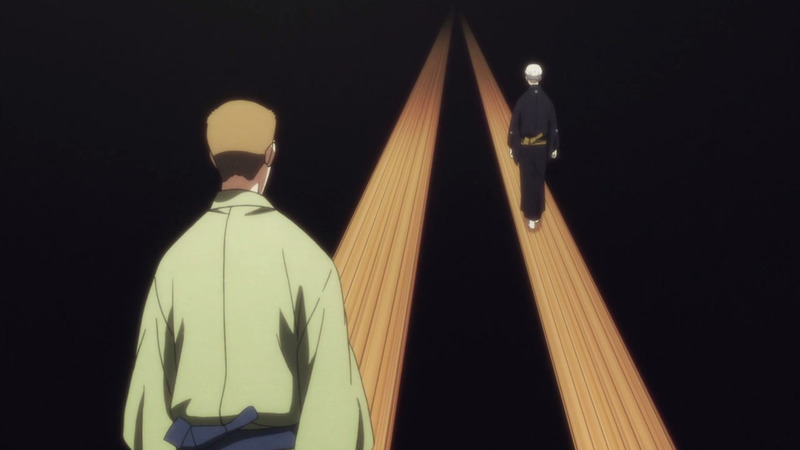 He’s confronted his ghosts, accepted the non-traditional future of rakugo, and allowed the wall to fall between him and Konatsu. And here is my only true criticism of this series (thus far): this episode felt like a lovely dream. To me, it felt very out of step, too perfect and neat. So swiftly was 30 or so years of that comfortable animosity wiped away by only the most subtle of triggers (a discussion of a cherry tree, it seemed). The moment had been built up to but it passed so quickly and easily. He’s been done with fighting Konatsu since his collapse and she had been waiting for his acceptance but needed to be ready to accept it in return. And of course the details of that tragic night didn’t matter: as I’ve said previously, Bon accepted himself as their killer not for her sake but because he knew the guilt and responsibility for it lay with him. He knew he did kill them, even if he didn’t hold the knife or give the push. For him, Konatsu was NEVER their killer. 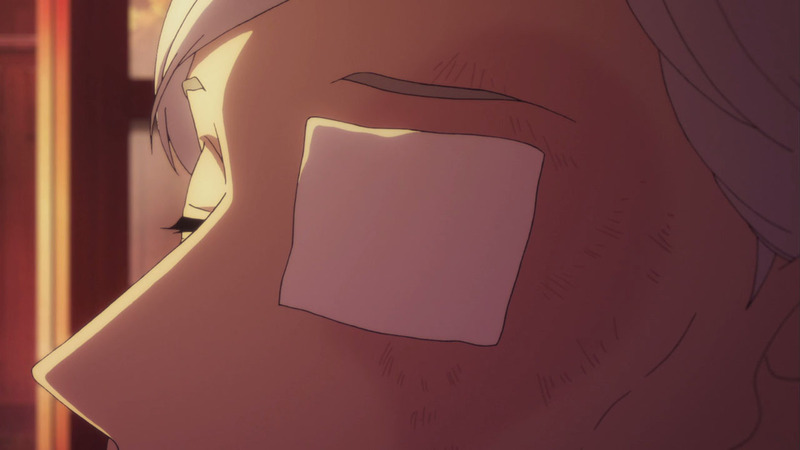 (just to clarify, IMO, there was no killer: bad decisions of each 3 adults led to the result, it was a terrible accident, but in Bon’s mind, he was their killer) An “outsider” like Matsuda or the audience might think Bon was just covering up for Konatsu but these last few episodes should have made it very obvious that Bon wasn’t falsely taking on that guilt. He genuinely carried it and would have regardless of if Konatsu was in the picture or not. I think the only regret anyone can feel for Bon now (seeing as he’s come to terms with the tragedies of his life) is that he won’t witness the next generation. He can’t meet his second grandchild or pass on his working name to the 9th generation. To be honest, I had been thinking Shinnosuke would possibly earn the name but now I wonder if Konatsu, at some point, would feel comfortable taking it herself? But, in any case, seeing the next generation off into the future is all each generation can hope for. Bon did very well with that. I think there’d been enough slow build up to this moment that it worked (perfectly in my opinion). Just like with her relationship with Yotaro, Konatsu has slowly warmed and felt affection for Yakumo over the years so it felt like the perfect time for them both to drop their guards and be up front with each other. What followed was just them saying what they needed to get off their chest, and come full circle. I too don’t blame any single person for this tragedy, even if Konatsu was the one who gave the final push. People forget how many awful life choices Sukeroku and Yakumo made leading up to that day. Up until her departure from the city, Miyokichi was the victim of the triangle, until she decided she would no longer be. They’re a fascinating trio, but Yakumo’s story is of course the most impressive of all. I expect there will be a bittersweet tone to the last two episodes, since Yakumo won’t be around to see what follows. I expect good things are to come now that the dramatic core of the story is finished. 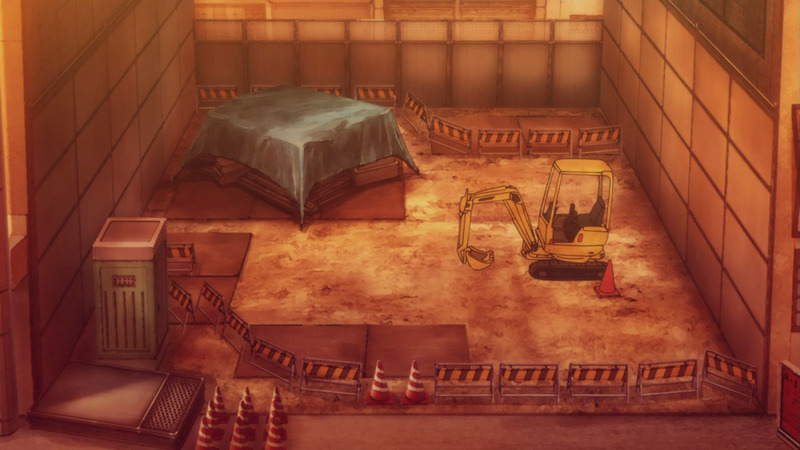 How does that last scene tell us that Yakumo passed away? 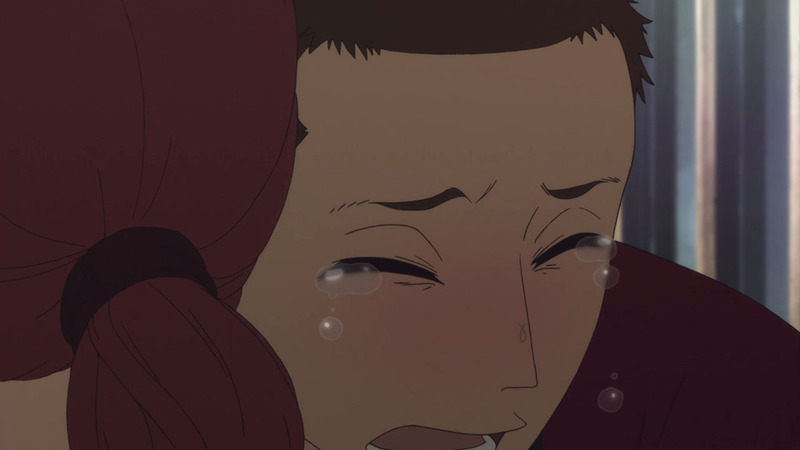 I thought this was another illusion of his (much like when he saw Miyokichi and Sukeroku when he has doing rakugo). So I found it strange that we would see the thoughts/afterlife of a character that has died in a show like this. Because that dark walkway with the rows of candles symbols the afterlife. When Yakumo last went there was when he could first hear Sukeroku’s voice, and was asked why he was at that place. He was pushed back into the world of the living, and since then gotten closer to dying with each passing episode. 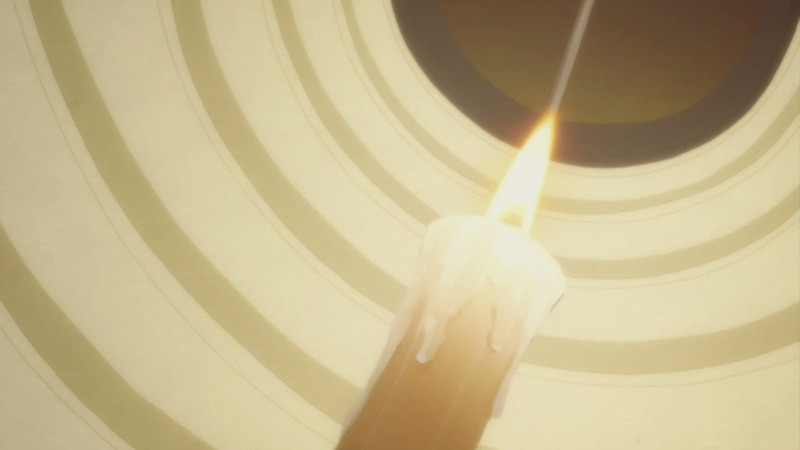 The fact that the candle at the end of OP changed this week, that he was peaceful in his last moments, and was clearly of ill health by that point, and that he returned to that place with Sukeroku (who welcomed him, noting how old he was by the “Bones” nickname), it’s pretty clear that he is really dead now. No more being pushed back to the world of the living or wrestling with shinigami, he passed away peacefully and without much drama, which was what I predicted. Plus, we wouldn’t get another tease of him dying yet again. It’s the real deal this time. As for him having conversations in the afterlife, that’s why what I said last week about Sukeroku’s ghost being somewhat “real”, because clearly this series is acknowledging the afterlife as some physical place where Yakumo and Sukeroku can have conversations with one another. We may see more of that next week, or we may just skip back to the world of the living and their reaction to his death, but one thing is for certain: Yakumo is dead. I don’t even follow this series. I’m just crying looking at the screenshots. If you’re crying just from the screenshots, you should watch the series and see what happens! Seriously, do it. It’s a legitimate masterpiece. I’m with PO, I’m tearing up just from the screenshots and your description, and will make sure I have a box of tissues ready when I catch up on the series. I can’t think of any other anime that was paced better, story told better, and characters developed better. Something that I would rewatch for sure, even if just to pick out all the little details that I didn’t notice before. I admit i got so teary during this episode. I was like, oh god but yes. 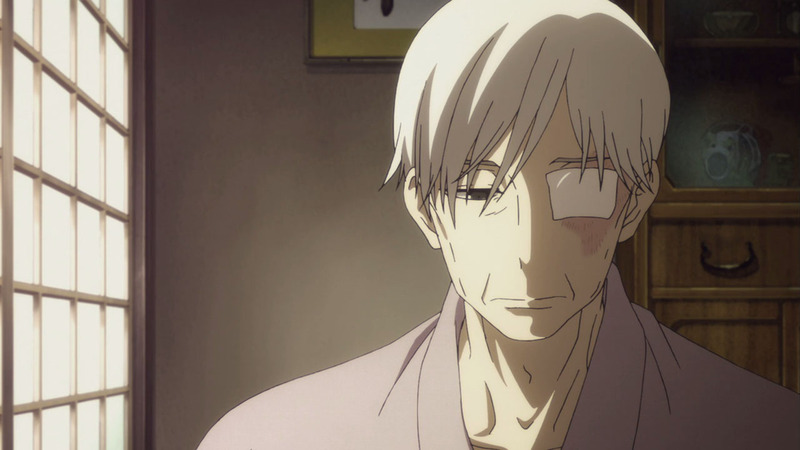 While this anime made you believed that it was all anger and resentments and how this old guy awaits nothing but for the ghosts of his beloved to take the living life outta him, i’d must say, they really got me good. I mean, after this episode, i was like, of course. I really felt so childish and immatured during this early part of the show, and i thought “yea go on hate him”. But no. It didnt happen. 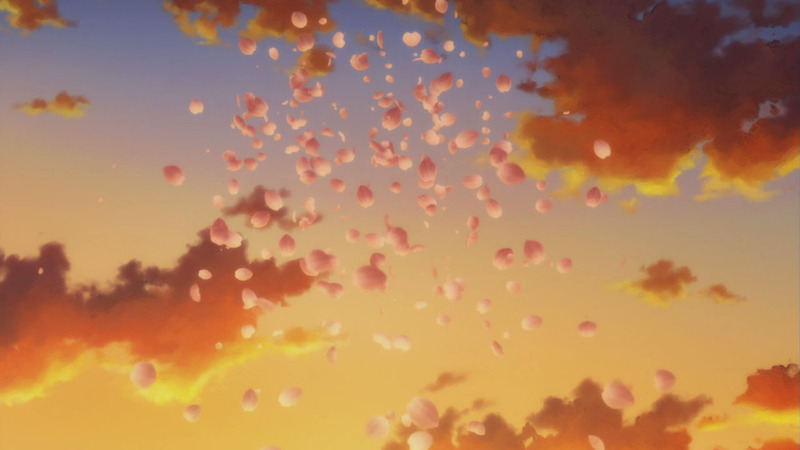 And it really propelled me to think that i must have forgotten the passing of time in this anime. 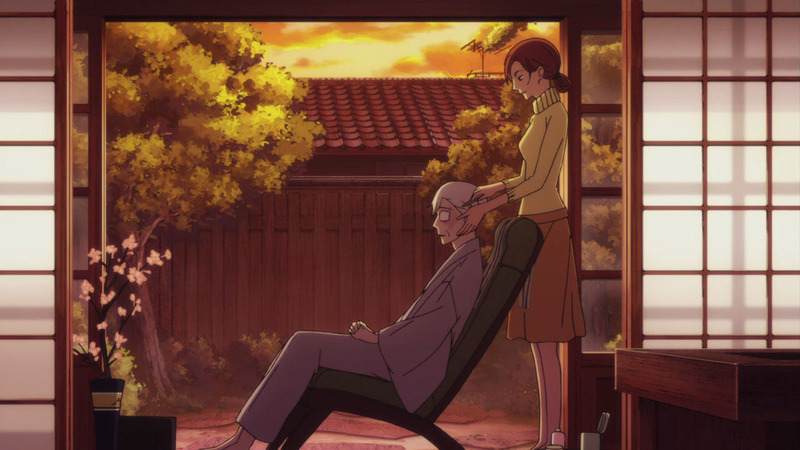 Konatsu in the end, has always love and been grateful of Kikuhiko for raising her as his own and didnt abandoned her while she knows and he knows, that hes capable of doing so. But despite raising the daughter of the woman he truly loved and the child of his greatest friend, he chose to carry the weight of raising her into a fine woman. Konatsu on the other hand, while she can forever resent the man that “murdered” both of her parents, as time and wisdom come by, she is forever grateful and indebt of Kikuhiko for raising her instead. He has become her father and her only family and the most beautiful part is, they both knew about it. They both understood without needing the words to say. They both are those who got left behind and are victims of misunderstanding. No one is ever evil in this show, and thats truly the beauty of it. I have been waiting for this moment since forever. 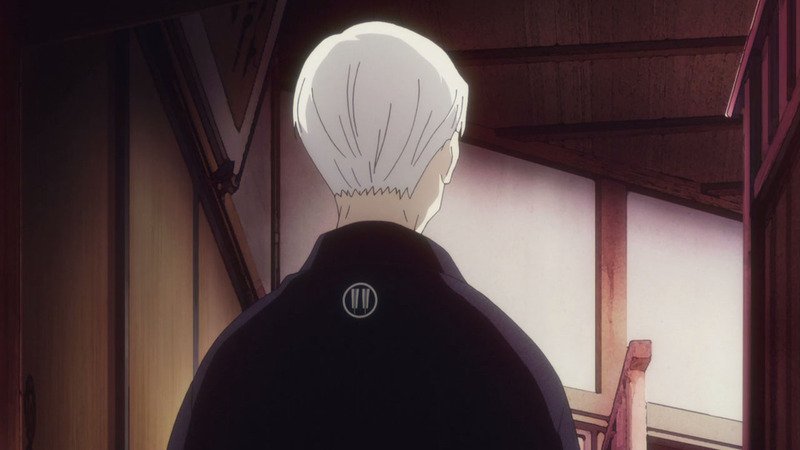 And now, when death is like an old friend comes knocking on your door, Sukeroku has now showed up once again at the end of this episode, finally came knocking to Kiku’s surprise; is here to come and pick him up like an old friend should. I dont think i can be ready to say goodbye to this anime yet. Don’t know if someone already mentioned it but did anyone notice the different openings changes? 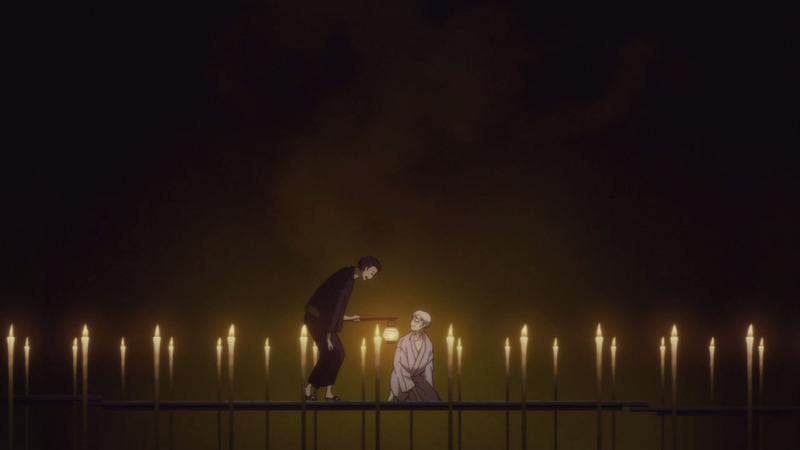 Ep 9 when Sukeroku’s eyes were red just like the shinigami and how this ep the candle at the end lit up rather than burning out. Maybe signaling Yakumo wants to live? or New life? I don’t know.